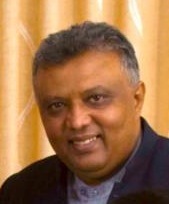 The Bodu Bala Sena has unrolled its plan B by merging with the ultra-nationalist break away group of the Jathika Hela Urumaya (JHU) led by Udaya Gammanpila after attempts were made to form a Sinhala Buddhist alliance under the leadership of Venerable Ellawala Medananda Thera, the former head of the JHU failed. The formation of a Sinhala Buddhist party as declared by Gammanpila with the support of the Bodu Bala Sena and the Ravana Balaya comes as no surprise after the Bodu Bala Sena failed to gather even a few hundred people for their much-publicized meeting at Hyde park a few weeks ago. The Sinhala Ravaya, the radical wing of Wimal Weerawansa’s party has been deprived of membership to this ultra nationalist camp. Is this because of the suspicion that has been highlighted about Wimal Weerawansa’s motives or is it just a clash of ideologies? Gammanpila, only a few days ago spoke of corruption, good governance and nepotism within the Rajapaksa administration, has suddenly gone in to reverse mode with the repetitions of his verbal trash of “foreign conspiracy, NGO strategies to destabilize Sri Lanka, Tamil Tiger infiltration and saving the Sinhala race. How does one change overnight? Is it the lure of power and positions or is it the right price paid, or is it really the commitment to one’s religion and race? A man who committed to run a noble election campaign at the provincial council elections has made an about turn within a few months to become “just another Sri Lankan politician”. The defection from the Jathika Hela Urumaya by Gammanpila, is probably the work of the forces behind the Bodu Bala Sena who failed to achieve their objective of harnessing the majority of the Sinhala Buddhist vote for Mahinda Rajapaksa. The cross over of the main architects of the JHU, Ven. Omalpe Sobhitha Thera, Champika Ranawaka and Ven. 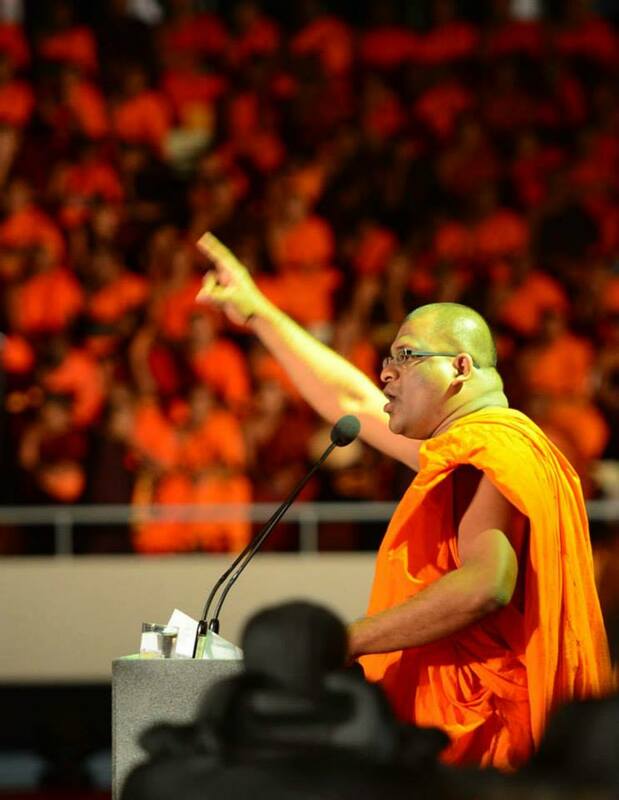 Athuruliya Rathana Thero to the Maithri camp broke the agenda of Buddhist extremists to place foreign conspiracies and threats to the nation on election platforms. The government’s attempt to deprive the minority votes to the Maithri camp by highlighting the presence of the JHU in the common alliance camp too failed. It is believed that over 80% of the minority votes would end up with Maithripala Sirisena unless the President addresses the core issues confronting them. With no attempt being made to address minority concerns, it seems that the incumbent has given up on the minority votes, hence the elevation of Gammanpila to head a Buddhist party that will place a racist agenda and thereby harness support for Mahinda Rajapaksa to bring in a sizeable extremist Buddhist votes to his candidacy. The Muslim community as well as other minority groups attempted to engage the government in discussing their community concerns over the last two and a half years. There are 1.3 Million Muslim votes alone and the President had at least 40% of this vote until the Bodu Bala Sena unleashed its hate campaign against the Muslims. The government allowed the BBS to continue its hate campaign with impunity. When Muslim religious and civil society brought this to the attention of the relevant authorities, it was always dismissed as an “insignificant nuisance” that would go away with time. Will this cost His Excellency, Mahinda Rajapaksa his third term? The Muslims as a community are disappointed at the total lack of government concern over 350 acts of violence, intimidation and threats against the Muslim community over the last 2 ½ Years. The attack on the innocent Muslims in Aluthgama and Beruwela in June this year, as well as the absence of the rule of law on racial crimes committed by extremist forces has certainly driven away not just the Muslim but also a large percentage of the Christian votes from President Mahinda Rajapaksa. Was he not aware of this threat? Is there a force behind these groups who have ensured that Mahinda Rajapaksa would be defeated at the up-coming polls? Even though these conspiracy theories may be hard to believe, an in-depth analysis would be appropriate for the Rajapaksa camp. The Sri Lanka Muslim Congress has still not decided on whom they would support at the 8th of January 2015 elections. Rumours of crossovers of Muslim politicians and others have put the bookies in in to big business with their daily betting exceeding any horse race. The next two weeks will certainly keep Sri Lankans more entertained with the crossovers than any cricket we have witnessed. The common candidate Maithripala Sirisena’s manifesto has been released, and there seems to be no mention of addressing the concerns of minority communities. There is absolutely no chance for Maithripala Sirisena to win this presidency without the support of the Tamil, Muslim and the Christian community, hence it would be imperative that the common candidate camp addresses this issue and declare their stand on minority concerns without further delay. 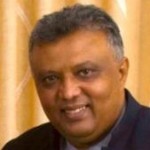 How Will The SL Electorate Behave ?